What to DO and what not to DO on LinkedIn. From someone who knows. Miss Anonymous has some advice for students. Listen up, all you placement seekers! Being a new entrant into the corporate world, I have been struggling and dealing with a lot of new contacts and people. Socializing! That is the way I meet new people, right? So...Facebook, Twitter, Instagram?? Ugh…actually no. Its LinkedIn! Coming from school, I did have a LinkedIn profile, but never really bothered to update it. Turns out, I should have. Sitting for placements/internships, along with your CV, your LinkedIn profile is evaluated as well. So basically, LinkedIn is the corporate world’s Facebook. In an induction, we were told about ‘the importance of LinkedIn’ and how it helps you fetch good opportunities and business. 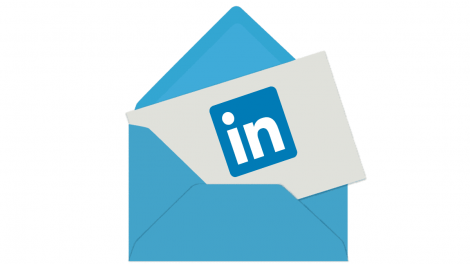 80% B2B leads are generated from LinkedIn. That raises a question: what are the DOs and DON'Ts for LinkedIn? 1. It's LinkedIn, not Facebook! LinkedIn Despite of both being socializing platforms (and blue in colour), there is a marked difference in how you present yourself on LinkedIn, when compared to Facebook. Don’t even think of posting your family outing pictures, or of updating statuses like 'Good Morning'. 2. Importance of a good Profile Picture. Harvey Specter NO DOGS! NO POUTS! NO GLARES! You need to look presentable. A decent picture with sophisticated clothing, and a clear view of your face. It should represent your personality and give your contacts a good idea of how you look (purpose of a picture: p). Remember, neat and tidy wins the race. 3. Be careful of what you like and share! Watch what you share. Your interests on LinkedIn are reflected by what you like and share. All your contacts can see what you liked/shared, as it is displayed in their news feed. No business colleague of yours wants to know if you follow ‘Grey’s Anatomy’ or not. 4. No Stalking. Don't stalk. Indians have great potential in stalking others. FOMO (Fear Of Missing Out) makes us check out our peer’s profile every now and then. But hey! Don’t do that with LinkedIn. The site has a tab where you can see the people who viewed your profile. So in case you want to check out your ex’s profile, don’t use LinkedIn. 5. The curious case of InMail and Connect. InMail Most of the hotshots of the industry have opted for a premium account, with which comes a service called InMail. This enables only selective people (the ones with a premium account too), to connect with this person. Result? More business oriented connections and communications. Not everyone is able to reach out to you. So in case you wish to speak with such a person, you need to shed some dollars. More like a professional’s DND. 6. Follow the correct people. Follow the right people The more closely you screen and select your connections, the more relevant opportunities you get for business. It’s useless connecting to your aunts and uncles on LinkedIn. So click that ‘send to all’ invite wisely. 7. Experience matters! How To Present Your Experience Work on your LinkedIn experience closely. Only update the relevant experience and participation details. Try categorizing them as: team work, organizing, research, the likes. That way, it looks more organized and clean. Experience should also, preferably, be chronologically arranged. 8. Bio-logic Bio Matters. The importance of adding your accurate position and skills in your bio reflects on your visibility during employer searches. People search for business and employees online. With your correct skill set and position, you appear in the top searches, thus increasing your chances of getting hired/getting business. These are the 8 golden rules you must keep in mind while building and maintaining your LinkedIn profile. Recruitment season has started. Be well prepared for the rat race. All The Best!